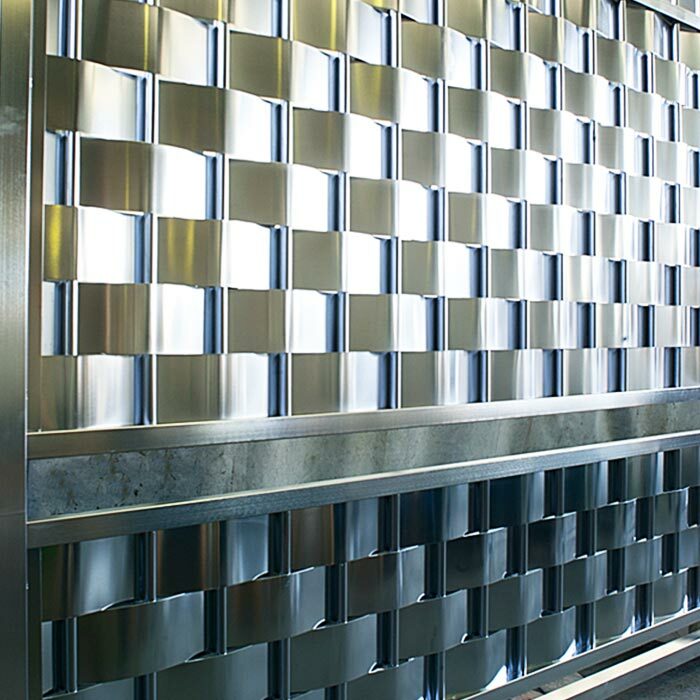 Electropolishing is a process of removing a surface layer from a material. It may seem a contradiction, after pickling and passivation treatments, to proceed in the opposite way, but in reality electropolishing is a finishing process that gives added value to the surfaces, as it is aimed at removing the smallest imperfection. The technique performed during electropolishing is therefore galvanic. The removal of the surface layer is done ion by ion electrolytically. It is therefore easy to understand the precision of the electropolishing process: the layer removed from the stainless steel is only a few microns thick. Preliminary to the electropolishing process is a phase of careful cleaning of the object, which may include degreasing, pickling and passivation treatments. All these steps are necessary to ensure a surface perfectly free from any contaminating agent. Only in this way will the electropolishing be able to remove a uniform layer, reaching the final result with a leveling of the surface roughness and therefore the elimination of micro-burrs. It also eliminates surface micro-inclusions, making the surface more cleanable and hygienic. Bama performs the electropolishing treatment by immersion. The object is placed in a tank containing an electrolyte and connected to an anode. The passage of direct current generated by a rectifier and conveyed through special cathodes involves the surface of the object promoting the phenomenon of electropolishing. Bama has recently developed new technologies for electropolishing out of the tank or for massive electropolishing of small parts. These two new technologies allow in the first case of electropolishing only parts of the product or where the product is not submersible, in the second case the massive electropolishing allows to reduce delivery times and prices on small parts. Electropolishing is carried out by means of various plants in the Bama factory in Turbigo. There is an automatic multistage system for small and medium sized parts, as well as three semi-automatic electropolishing tanks for larger items; moreover, Bama is able to perform electropolishing treatments directly at the customer's home when the item cannot be transported.